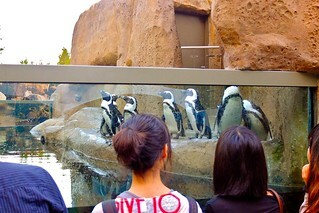 Vancouver Daze, Volume 88: After Hours at Vancouver Aquarium in Stanley Park on September 20, 2012. Published in Vancouver Is Awesome. 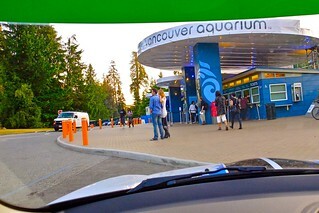 On this MINI adventure, I made the drive to Stanley Park for an evening of under the sea education at the aquarium. 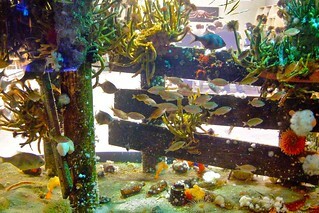 This after hours adventure at the aquarium was strictly for the adults ideal for date night. 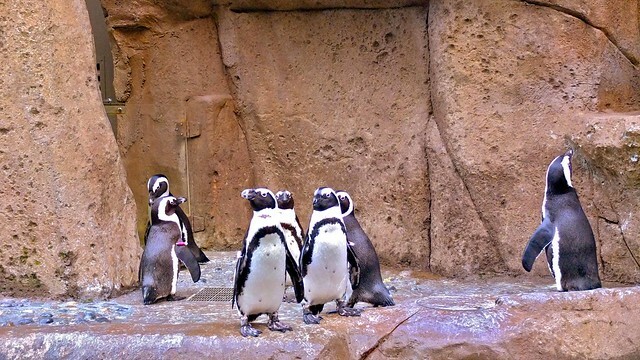 With a beer or wine in hand, patrons got a look at the new exhibits and sea life on hand including the new Penguin Point sanctuary with our loaned South African ice birds. 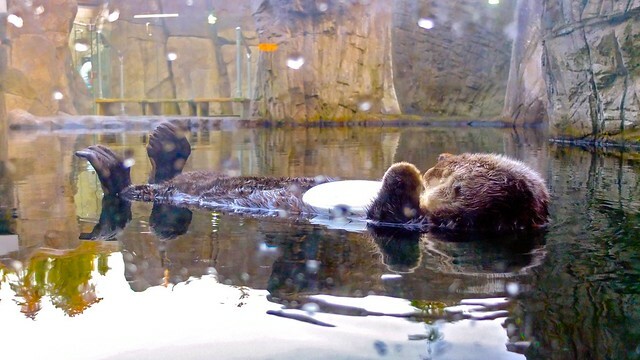 How adorable is this sleeping otter just floating on top of the water? 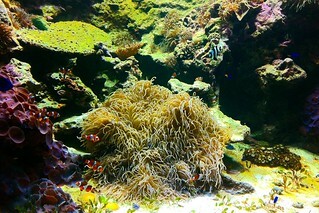 It was a bit odd wandering the aquarium without and children in sight and bars at each end of the building. 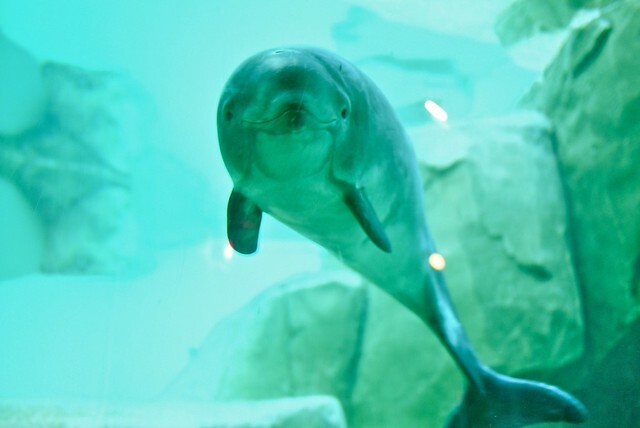 Jack the porpoise made an appearance, engaging onlookers playfully. The aquarium premiered The Great Salmon Run, a "4-D Experience" short film for the senses, and a fun, visually stunning look at the life of salmon. The night was full of casual fun and sea life conversation. Once again, I travelled comfortably in my ride from MINI Richmond. 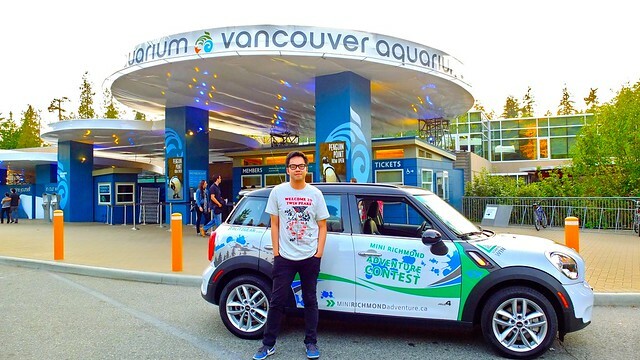 Enter to win your own dry land #MINIadventure package here (share on Twitter and Facebook).